Hurry and Buy your new Ford F150 Euro Headlights at K2 Motor! 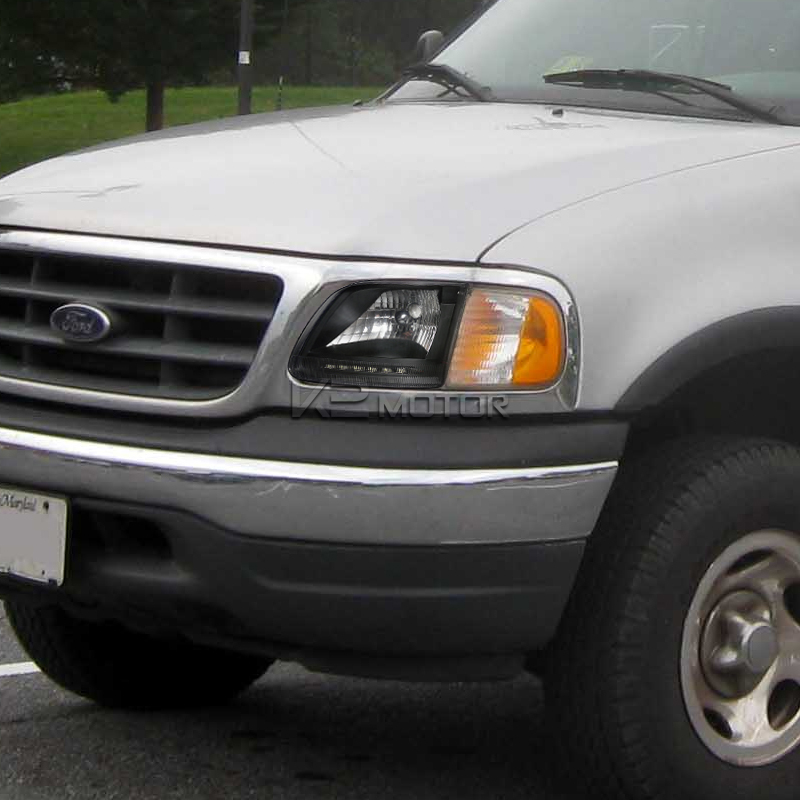 We offer free shipping no matter what the cost on all Euro Headlights within the U.S.
Re-design your 97-03 Ford F150/Expedition with these stunning crystal headlights set. If you have been looking for a great way to customize your Ford, this is it. Give your F150 a more stylish, sleek, and subtle look by putting on a set of these Euro LED headlights made to fit perfectly in place of your OEM headlights set. 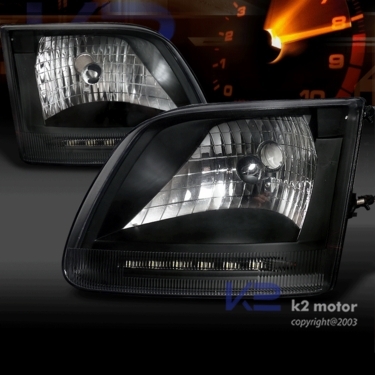 Once installed, you will instantly notice the difference in look between this brand new Euro LED headlight set and the old fogged up and damaged OEM headlights.